Many of us are aware with Google’s latest updates. It’s ever changing algorithm in the guise of “Penguin” and “Panda” has rocked the SEO platform. This has made it essential for webmasters to ponder their back-linking strategies. “Panda” shook the landscape on April 2012 and shortly after “Penguin” was introduced, just like a one-two punch. In the mid-90s Google was largely considered as nothing more than a web directory. This made specialist at the time think, that for a website to benefit from a top ranking position, you have to repeat keywords in both on-site content and Meta keyword tags, and this strategy worked those days. Changes took effect as soon as Google advanced in technology making the game of cat and mouse we see today. With Google’s updates in 2012, webmasters noticed that SEO has become more intricate and complicated. 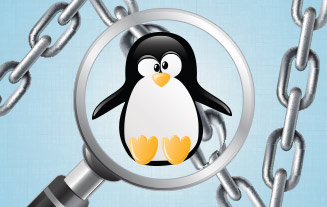 Google’s “Penguin” and “Panda” update many webmasters have been struggling to comply with Google’s changes. Basically, the “Penguin” and “Panda” update were introduced to penalize duplicate content, paid services and poor quality websites. How do I Build Back-linking Post Penguin? Back-linking building is just a part of the overall SEO program. And if your back linking strategy is not up to par with Google’s updates, you’ll end up wasting your effort and money. Provided you have the complete steps in search engine optimization process, getting quality back-links will never be a difficult task again. The first thing to consider when creating back links is research. One easy way to get loads of information is to simply research your competitor’s back links. Learn what works and doesn’t work by studying their back link profile. When determining is a site is a good place to place links to your website, considering the following measures will greatly help. How many back-linking setups does the website already have? What is website’s Page Rank? Is it a paid service or directory? Provided you have gathered a list of websites, it is crucial to organize them into one of the following categories: Links to improve page rank, Links to improve SERP’s and Links to increase target traffic. The ability of Google to determine unnatural back-linking strategies and campaigns has made many webmasters rethink their SEO strategies. In the case of back-linking to your website, you should prevent creating links too quickly, only if they are naturally occurring. The rate of building links should fall under 10-12 per day for a given URL. You may be wondering why you can’t simply build plenty of links daily when websites that go viral do. It is only Google that can somehow tell the difference, but they will never share many details of their algorithms. It is really important that you stick to these latest updates unless you want to risk ending up like several websites that have been penalized or have seen their rankings drop. It is clear that many webmasters have attempted to go around Google’s rules. For a short time they found initial success by constantly struggling to stay ahead of Google’s updates by using black hat techniques. Below are some ways of getting good quality links. There are other better ways to build links to your website, traffic, page rank, and increase your SERP’s. But remember to build them naturally to avoid being penalized by Google.